Spring has Sprung! And I couldn’t be happier! 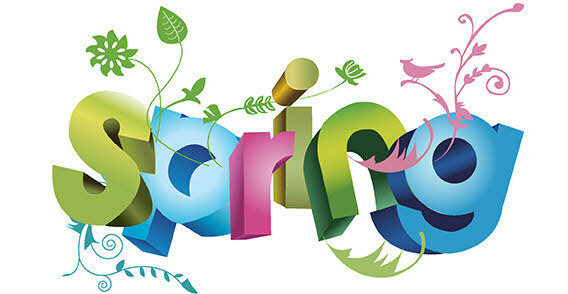 With Spring’s arrival comes open windows and cool breezes through the house, gardens start growing delicious vegetables or beautiful flowers, and ……… bugs, weeds, and spring cleaning. Shoot. But like in everything else, we must take the bad with the good…or do we? Here are several tips to help deal with all of Spring’s uninvited guests. 1) Plant with wet newspapers. Put layers of wet newspapers around the plants, overlapping as you go, cover with mulch and forget about weeds. Weeds will get through some gardening plastic they will not get through wet newspapers. 2) Put a dryer sheet in your pocket to keep mosquitoes away. 3) To banish Fruit Flies, take a small glass fill it 1/2″ with Apple Cider Vinegar and 2 drops of dish washing liquid , mix well. You will find those flies drawn to the cup and gone forever! 4) Have an Ant invasion? Put small piles of cornmeal where you see ants. They eat it, take it “home”, and they can’t digest it so it kills them. It may take a week or so, especially if it rains, but it works and you don’t have the worry about pets or small children being harmed! 6) Keep putting off cleaning the refrigerator? Follow these simple steps to make it a little easier. First toss out any bad food. Then start with wiping down the top shelves and work down. Baking soda and water make a great cleaner and won’t leave your fridge smelling like harsh cleanser. After you wipe out the crispers, line them with paper towels for easier cleaning next time. 7) Clean your dryer’s lint trap. Here’s a test. Take out your lint trap, and remove any built up lint. (There shouldn’t be much since you should clean it after every run). Take the lint trap and run hot water over it. Most likely, the water won’t go through! The dryer sheets that we use to make our clothes soft and static free can cause a build up on the lint trap. You know how dryer sheets can feel sorta waxy; it is that material that causes the buildup. You can’t SEE the film, but it’s there. The best way to keep your dryer working for a very long time is to take the filter out and wash it with hot soapy water and an old toothbrush (or other brush) at least every six months. This can make the life of the dryer at least twice as long! Previous Post: Is Your Workspace Ergonomic? ?